Growing up in a large family, twelve brothers and sisters, did not stop Tim Miller aka Da Minista from grabbing life by the horns and making things happen. Raised in McComb, Mississippi by parents who celebrated fifty-five years happily married before they each passed away, DA MINISTA spent many hours inside the walls of his traditional Baptist church as a junior superintendent, quietly influenced by the faithfulness of his parents and example they set for hard work, integrity, family values and service to community. In his youthful years Da Minista spent his time choreographing Hip Hop routines for his dance group, “The 4 For Love” winning numerous local talent shows. After graduating from high school he enlisted in the Army. 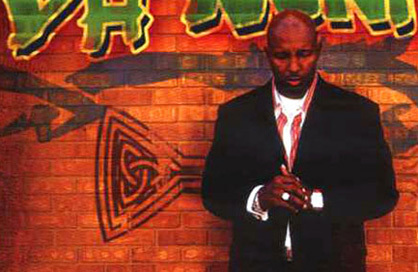 It was then, that his passion for Hip Hop music inspired him to develop his verbal skills into the art of Rap. Congregating with officers from the East Coast, (New York, Philadelphia, Washington, DC) DA MINISTA learned first hand the origins of Rap music and it provided a foundation for writing poignant lyrical content and vocal delivery. After his release from the military, it was during a concert at the University of Southern Mississippi that a foreign exchange student from Japan became a dedicated fan of “DA MINISTA” and sent one of his tapes home, urging his contacts there to bring him over. This effort resulted in DA MINISTA traveling to Japan to complete a three-week concert series at a mountain resort. It was shortly after his trip to Japan that he began to feel the pull toward the ministry- something that conflicted with his burgeoning secular rap / hip-hop career. His strong background in the church and faith in God claimed his heart and he vacated his career in music while embracing his new career path as a Pastor in the ministry. From that point, there was no looking back. Interesting things began to happen as he preached the Gospel. The Lord kept giving him songs and the message that he should deliver through the very career that he had left behind. 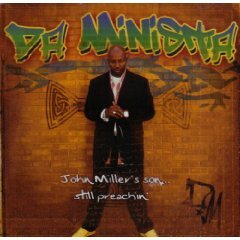 Da Minista dedicated his first national CD release (John Miller’s Son… Still Preachin’; Malaco Records 2005) to his father, to honor the man who taught him how to listen to God’s word and will for him when faced with difficult decisions. Keep It Holy followed in 2008. 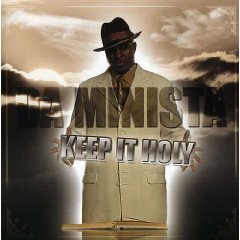 Keep It Holy is an album with the message of hope to all walks of life more accurately put to words by Da Minista himself, "My vision is to help other living in addiction to find their ways to freedom and deliverance. To let them know that there is Hope. To let them know there is a way out to help them find it. That way is Jesus!"